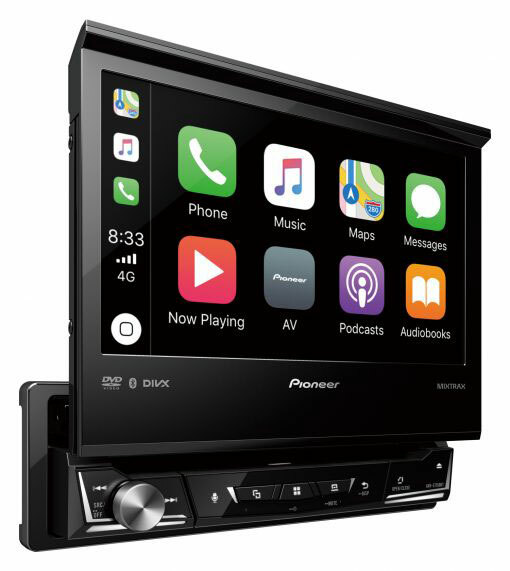 Pioneer’s 6.8" double din DVD that plays iPod, USB, CD, AUX and features CarPlay and Android Auto. Has dual bluetooth. Allows playback of all the latest applications using the AppMode. Connect to YouTube, View Google maps and photos from your phone. Mixtrax and Siri eyes free are also features. Can add two reverse cameras and extra amps with the 3 RCA pre-outs. Note: An extra cable is required to use AppMode, and some apps incur a cost. 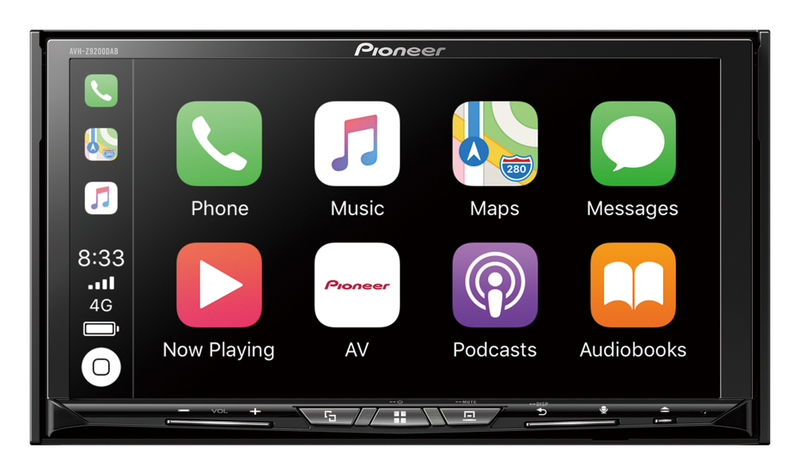 The Pioneer AVH-Z9200DAB NEW head unit features Apple CarPlay Wireless technology enabling you to operate your Apple smartphone on the touch screen. Mirroring an Android phone is also possible on this model via USB. It also features DAB radio/CD/DVD/USB/dual bluetooth and has dual camera inputs so two reverse cameras can be added: one for assistance during reverse parking and one for towing a caravan/trailer. 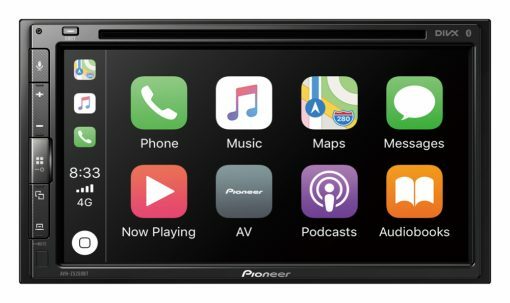 Pioneer’s single din fold out screen that does the lot: DUAL Parrot Bluetooth, iPod, USB, DVD & AUX all from the 7” fold out anti-glare touch screen. A reverse camera input, siri eyes free, and a spotify link are also features in this unit. Has Apple CarPlay and Android Auto. Note: An additional cable is required to utilise AppMode, and some apps incur a cost.